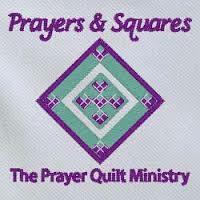 Prayers and Squares is an interfaith outreach organization that combines the gift of prayer with the gift of a hand-tied quilt The chief purpose of this ministry is to promote prayer through the use of quilts and to offer comfort to those who are going through difficult times. The idea behind these prayer quilts is simple. A heavy thread is used to take stitches through the quilt layers, and the ends are left free to be tied with square knots. When a need for a prayer quilt is made known, a label is attached to the quilt with the name of the recipient and members of the congregation are invited to tie the knots on the quilt as they offer a prayer for the person who will receive the quilt. A faithful group of quilters (about 12 or so) meet on the first Wednesday of each month, September through May, to work on these quilts. Please join us. For more information call Pat Barnhill at 843-281-8252.